WHO PAYS MY MEDICAL BILLS WHEN I AM INJURED IN A CAR ACCIDENT? You just got into a car accident. Your neck hurts. You need to go to the doctor, but you do not know who is responsible for paying your medical bills. In Pennsylvania, when you get injured in a car accident, your own car insurance will pay your medical bills through your PIP (personal injury protection) coverage regardless of whether you are responsible for the accident. Even if the other party is responsible for the accident, your own insurance will pay your medical bills up to the limit of your PIP coverage. For example, let’s say your car gets hit from behind. You have insurance company XYZ and your PIP limits are $5000 (the minimum amount in PA). 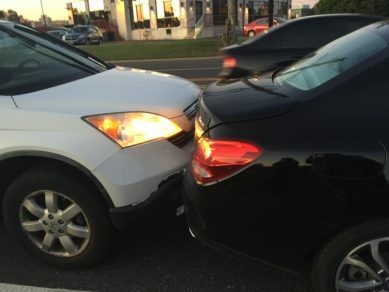 The person in the car that hit you has insurance from company ABC. Even though they are at fault, your insurance, XYZ, will pay your medical bills. When you go to your doctor you will need to give them your car insurance to bill. WHAT HAPPENS WHEN ALL YOUR PIP COVERAGE IS USED UP? Once you use all of your PIP coverage (the medical bills total more than $5000 or your PIP limits if higher) then your regular health insurance takes effect. Therefore, if you have no personal health insurance it is important to make sure you have enough PIP coverage to protect you if you get seriously injured in a car accident. WHAT HAPPENS IF I DON’T HAVE CAR INSURANCE AND I AM A PASSENGER IN AN ACCIDENT? 1. A relative’s auto policy will pay your medical bills when you are a member of their household. 2. The auto policy for the car you were in at the time of the accident will pay. 3. If you were a pedestrian or bike rider, any auto insurance policy for the vehicle(s) involved in the accident. If you are hurt in an accident due to no fault of your own, you may sue for personal injuries which include pain and suffering, disfigurement, scarring, medical bills beyond your PIP limits, future medical bills, loss income and permanent injuries. If you have been injured in an accident and are unsure what to do or what coverage applies, please call us 215- 592-8080 and we will be happy to assist. At the Law Offices of Thomas More Holland we are here to help you and answer all of your auto accident questions. We are the lawyers for you and your family. The Law Offices of Thomas More Holland, one stop legal shopping for you and your family.